Labour senator Dominic Hannigan was so blessed. TDs Rory O’Hanlon and Margaret Conlon were also stuck in the house of fun. 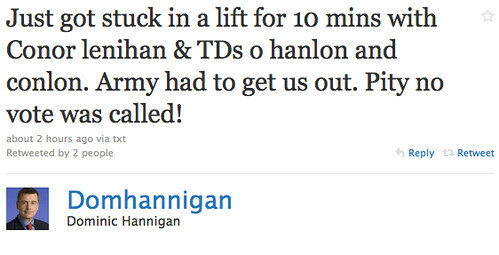 Hannigan tweeted with aplomb how the army had to step in and save the day!